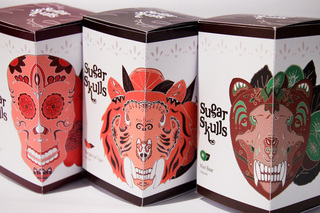 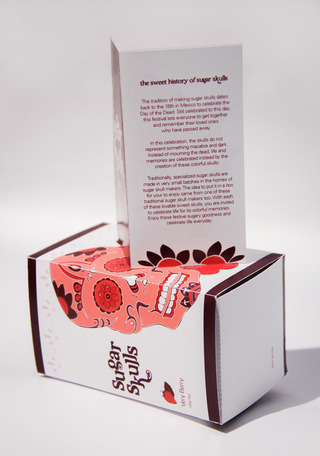 The design for this box of sweets is inspired by the Mexican festival of Day of the Dead. 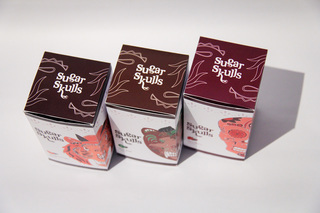 The brief limited the design to only two spot colors, so creative use of illustration had to be employed to add to the festivity of the final packaging. 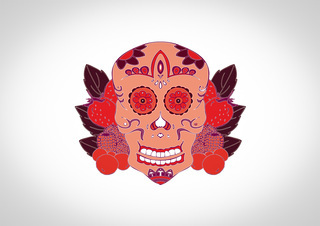 Illustration was done first in pencil, traced with a marker, scanned, edited on Photoshop and colored on Illustrator.